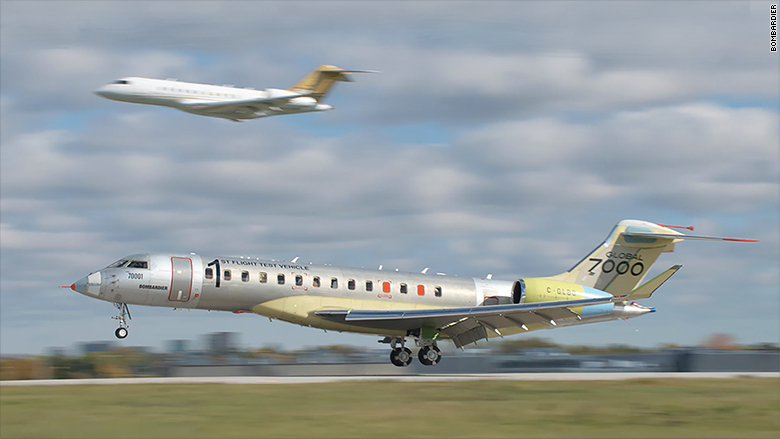 Bombardier completed the first test flight of its new Global 7000 business jet Friday, in a move aimed at breathing new life into sagging demand for private aircraft. The plane and train maker said its prototype flew for 2 hours and 27 minutes from its factory near Toronto. The aircraft reached a speed of 240 knots or about 276 miles per hour and an altitude of 20,000 feet as pilots tested the jet's controls. The Global 7000 boasts a 54-feet 7-inch long cabin, which is meant to appeal to private buyers seeking the most opulent flying experience. It is the largest and longest range business jet designed by the Canadian plane maker. When it begins flying in the second half of 2018, it will cruise as high as 51,000 feet and dash at 92.5% of the speed of sound and seat up to 17. Each one costs $72.8 million. 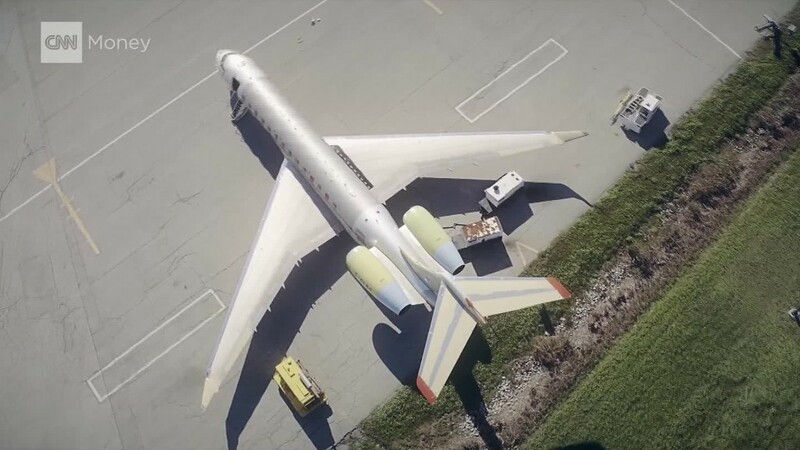 Bombardier says the jet will fly as far as 7,400 nautical miles at a slower speed in a single stretch with eight passengers and four crew aboard. That's enough to connect New York with Shanghai or London with Buenos Aires, and it's as far as a much-larger Boeing or Airbus airliner can fly with 300 passengers. The current-generation of Global jets that Bombardier makes is the company's single biggest revenue generator for its aerospace division. However, production in its factories and at its rivals have been falling amid political and economic woes in Russia, China, the Middle East and South America. Bombardier hopes the Global 7000 will stimulate demand and represent a cash-cow for the plane maker. Bombardier, U.S. rival Gulfstream and France's Dassault are fighting for well-heeled buyers of the biggest business jets. Dassault delivered its first Falcon 8X last month and Savannah, Georgia-based Gulfstream has been pumping out its G650 since 2012. That model and an extended range sibling can fly 7,500 nautical miles non-stop. Both compete with Bombardier's Global.